It’s delightful when you find that a guest blogger shares one of your passions, in this case a love for the works of poet/philosopher/artist William Blake. I’m a luke-warm philosopher, at best, but looking at Blake’s poetry was a highlight of my English degree (rather more years ago than I like to admit to!) and I’ve always loved his stark, often rather unsettling illustrations. So I’m more than usually pleased to welcome fellow Blake-ite, Francis Gideon, to the blog to talk about his new release, the title of which comes straight from one of Blake’s most famous poems. And isn’t this a wonderfully evocative cover? Over to Francis! 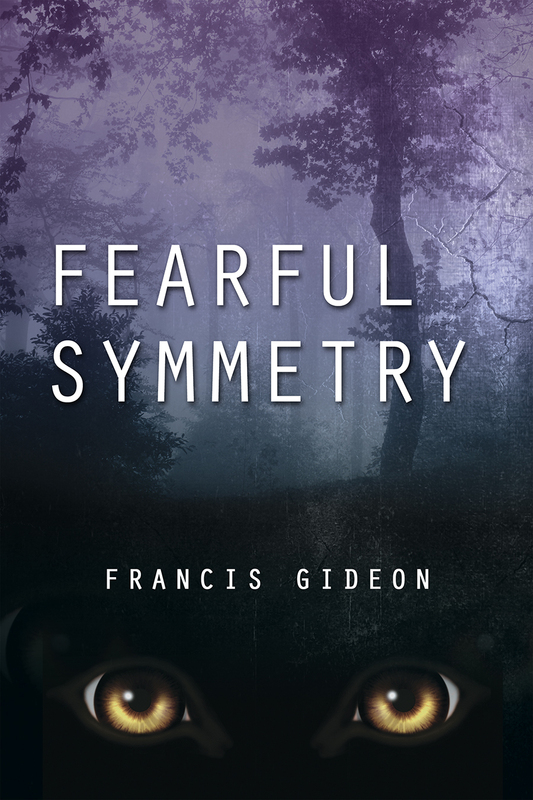 I’m Francis Gideon and I’m here plugging my recent release Fearful Symmetry. It’s your typical m/m romance with a fantasy twist that also focuses on fairy tales. So, I adore fairy tales. Especially the nitty-gritty Grimm’s fairy tales where Cinderella’s sisters cut off their toes so they can fit into the glass slipper and where Rumplestiltskin tears himself in two. I read these stories when I was about twelve and thirteen, utterly devouring what I had once thought was just about princesses and pumpkins. Then, when I got to university and took children’s literature, I realized there was another side to fairy tales: adaptations. All folktales develop and change as they’re retold from person to person. So it should be no surprise that in the 1970s, when second wave of feminism occurred, a bunch of women writers consciously decided to flip classic tales about princesses. One of my favourite writers from this period is Angela Carter. We had to read The Bloody Chamber in my children’s literature class, and I fell in love with her dense imagery, symbolism, and strong women leads. Every fairy tale acts as a cautionary tale—but it’s also a small instruction manual that Angela Carter took to a new level. In her feminist tales, women like the protagonist of “Erl King” are held captive and made weak by people they’re supposed to love. In the end, these strong characters win. They beat a system that’s rigged against them. And that—more than anything—feels like a happily ever after I can get behind. When I got the idea for Fearful Symmetry, about a boy who wanders into the woods and falls into the arms of a man who’s not quite who he says he is, I knew I had to turn back to Angela Carter for inspiration. The way she gave agency—but also desire—to her characters was something I needed when I constructed Dryden Morris III. Hopefully I’ve done the character justice, along with describing a different type of fantasy and fairy tale world people can relate to. Francis Gideon is a writer of m/m romance, but he also dabbles in mystery, fantasy, historical, and paranormal fiction. He has appeared in Gay Flash Fiction, Chelsea Station Poetry, and the Martinus Press anthology To Hell With Dante. He lives in Canada with his partner, reads too many comics books, and drinks too much coffee. Feel free to contact him, especially if you want to talk about horror movies, LGBT poetry, or NBC’s Hannibal. Find him at his website, francisgideon.wordpress.com .